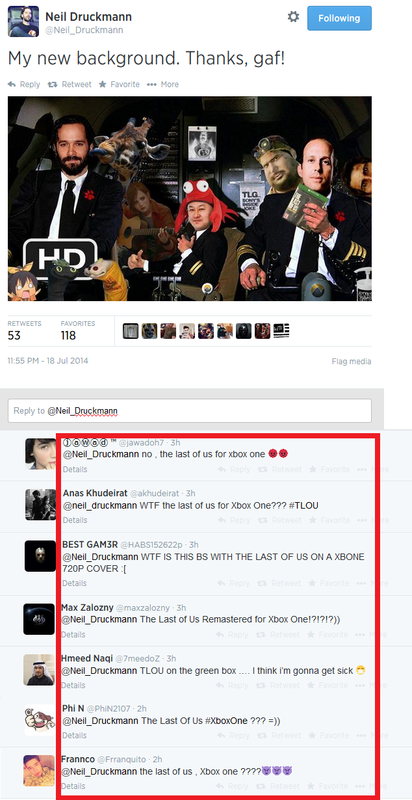 Interestingly enough, Neil Druckmann managed to cause slight confusion among some Xbox One players. Nah...but that would be the equivalent of Mario on ps4...sounds nice but not gunna happen. Or Ratchet and Clank on Xbox One / Sunset Overdrive on PS4, reminds me of that situation. Sunset Overdrive on PS4 is technically possible... everything else listed so far not so much. I remember that one of the Insomniac devs said that Sunset Overdrive on PS4 is as probable as Ratchet and Clank on X1. Some people probably misunderstood me. By situation I meant comparison, not that it really happened. Sunset Overdrive ip is owned by insomniac, so the sequel could very possibly come to PS4. Expect to see those two together at some point in the next 2 years. Why do people think that Insomniac want to keep the licence? So they can keep it exclusive to one console and go on their Merry Xbox ways? No. It's so that they have freedom to do whatever they want with their game. Put it on whatever platform they want. Seriously, are people that out of touch with the legal system? Edit: oh, and micx; Sony owns ratchet and clank while insomniac owns sunset overdrive... while I get the point you were trying to make, the fact remains that it depends who owns the intellectual property. Lmao at the angry responses to the tweet from those that fell for the troll. Lol! Naughty Dog devs are just so funny, I remember when they adopted the Banderas meme into TLOU. OMG, you can't be serious that that many people fell for that picture. I seriously hope that those people were just playing into the troll. I don't think he was trolling. He didn't make the picture and the reason there is an xbox version is because someone in that neogaf thread posted a pic from a store which advertised an xbox version. Everything in that pic is relevant to the neogaf thread. I check this site while I play (see a comment from earlier today). I check it when I'm at work (like right now). Or when I go to my parents'house. Or the shop to get my car worked on. Or the library. Or my ex's house. When school starts back up, I'll do it on campus, though probably not in the middle of a class. Whenever I feel like it, really. Except when I'm driving, cuz that's a no-no. Why can't he do the same? I check N4G ALL THE TIME as well. Like many others, but when one see s the same person posting on almost every single article with mostly lip service, then people can start to get annoyed. Also then, when others also suspect that this sasuke has multiple accounts and has conversations with himself, it starts to boarder on insanity. So I agree with what superherox is trying to say. Which is simply, what is wrong with this person? Checking n4g every minute IS a game for some. Sigh...this would have been the "MGS 4 on Xbox 360" of this gen. Although MGS 4 was developed by a third party, so slightly different circumstances. He's not trolling. He's doing what politicians do and is floating the idea to see what kind of reaction he receives. If it's overwhelmingly negative, the predicted "haha. I was only joking" comment is made. But if it's positive, they continue on with their plans. More and more we've been seeing studios who make exclusives begin to release multiplatform games, especially since it costs so damn much to make them. From a business standpoint, it makes complete sense to make these games available to other consoles. of course the usual suspects will raise bloody hell, but they're only a tiny fraction of PS4 owners and they'll get over it quickly. It's not like they're going to convert to being an Xboner or Wii'er. knowing what you are talking about helps sometimes. Sony owns Naughty Dogs so, it will never happen. Did you think it was exclusive because they just felt like it? wow...you clearly have no idea what you're on about. Wow you're so dumb. The picture was made,by a neogaf member. The reason for the Xbox version is related to that thread. Neil liked it and made his pic. And why would Sony release their game on Xbox? Well said! Don't worry about the idiots who responded to you. They think that you said TLoU should be multiplatform. What you said is true about some devs went multi because of financial issues but these guys thought you implied that TLoU should be on X1. Painting with broad strokes there. XBOX ONE owners played Gears! of course. we know xbox users play the same game over and over. its okay. Gears can't hold a candle to TLOU. Or Halo on PS4 lol honestly people cant be this gullible. LoL, nice but unfortunately impossible. I say fortunately impossible... Competition is best. Competition is always a win for gamers. Impossible. It's owned by Sony and staying exclusive. OT: These guys are too funny! Um, you're speaking figuratively. It's a pointless speculation. No such thing will happen. If we want to go there, "anything" is "possible", but given what's realistic, I don't get why you're trying to give life to something that was dead at conception. "The truth" is Microsoft won't ever own the IP (silly notion to begin with), no matter what's "possible". It's staying exclusive and Sony owns it. Done. Live in LaLa Land as long all you want. It'll be a lonely place. I understood quite well (despite the vagueness of "nothing impossible just extremely improbable"). Regardless, you're just perpetuating something that, no matter the possibility (or lack thereof), isn't ever going to happen. Again, anyone can proclaim: "anything is possible", but it has such broad implications. It's pointless to debate. The Earth could explode - a possibility. I can strike it rich - another possibility. So what? Your hypothetical can be argued with practically anything. Doesn't make it special/unique. It just means you can type anything and argue it. Ah well, I'm glad ND removed the tweet. Some took this opportunity to argue the "possibilities". I agree with what they said - it's funny and annoying all in one. OMG THIS IS GREAT, IT LOOKS AMAZI-.......oh.....and its crap again. Oh well. Get a Playstation... or a Sony TV with Playstation Now. Wow, at least he's honest. I've seen so many call it overrated and overhyped. Not worth the katrillion goty awards. I'm glad a guy can appreciate a game he cannot play. We should all be a bit more like that. Lol xbox one couldn't run this game. Are you doubting the power of the CLOUDZ? No need for an XBOX version, I had the exact same game on ps3. Ohhhh there's no words for how much Truefan1 just got owned. If I was him I'd take my Xbox, turn around and never return. Ouch, need some aloe vera trufan? That burn looks pretty bad. 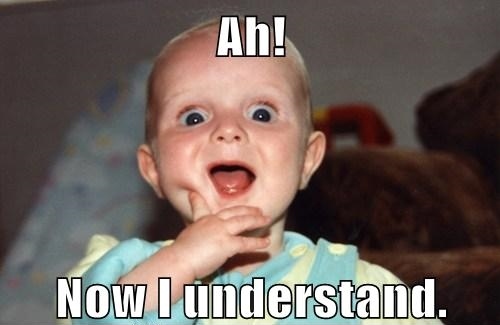 "UH OH, NPD is tomorrow, I said XB1 would win June, July, October, November, and December. This is the first test, in June neither had big games released and the prices are the same. Come on XB1 don't let me down, I put some pride on the line." i really dont think you play any games. you dont have time to after comment on ever site all day long. Man, he's such an embarrassment. In fact, all those putting their hopes and dreams in the Xbone winning any NPD, let alone overtaking PS4 sales EVER, have a losing mentality. Watch this space when PS4 STILL outsells Xbone, when Master Chief Collection comes out. Well a lot of people didnt own a PS3 so they haven't played this game yet. A lot of those people will buy the PS4 bundle with this game. Next month's NPD numbers should reflect that. He was a bit silly when he said that. Remember he has July, August, September, November and December left. Poor guy has going to have a really bad time over the next few months.